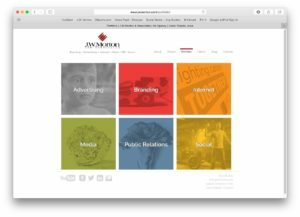 Your site isn’t responsive (meaning your website automatically “responds” to the change in device type) – Truth be told, the J.W.Morton website was not responsive before our redesign. As we got into the design, we learned that simply making our site responsive fell short on mobile. A good responsive site is all about usability and making sure your customer’s experience feels tailored to the device they’re on. Your site has old tech or design – Things like flash animation, pop-overs, drop shadows and highlights are all design elements that are outdated. Your website should not have any element that delays the user from getting to know your company or potentially keep them from going further into the website. Your site has no funnel towards a call to action – What is the goal of each page on your website? Do you want customers to contact you, fill out a form, watch a video? Whatever you want them to do needs to be clearly spelled out on each page. Your website is not built for new customers – This one is hard to process but your website should not be built for you, your employees, or even your current customers. Your website needs to tell your story to engage people who are actively looking for your product or service, to drive new business. This means your website build requires a strategy that shows you are being intentional about who you are building it for and how you are building it. Updating your website is not an easy task to dive into. It is an ongoing, and ever evolving, process to come up with the right mix of content and design that fits the personality of the company. If you have questions about your website or are thinking about a potential redesign, give Dave a call.